At a time where most world leaders are pushing policies to divide people, abuse cultures, separate races and destroy existing relationships, a simple USA-Based music minister, gospel artist and song writer by the name FEMI MICAH drops a music project that unites the people under one God. 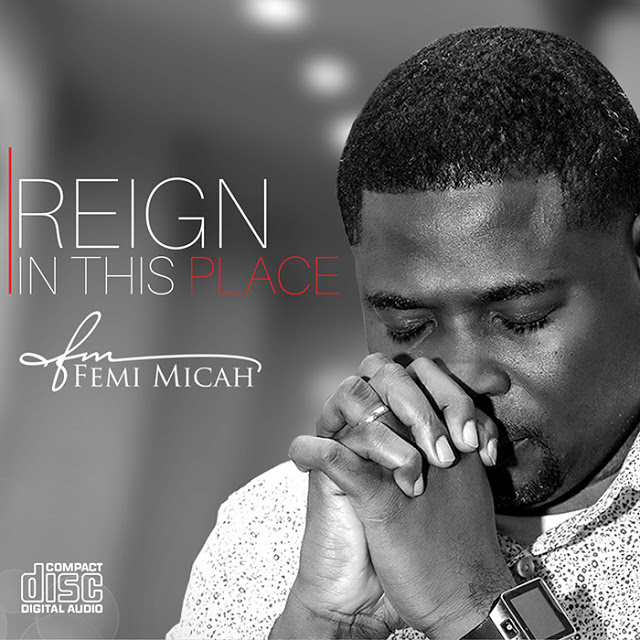 Femi Micah’s new single is aptly titled ‘REIGN IN THIS PLACE’, a prophetic call to everyone, race, tribe and people under God to love each other and to allow God reign in their hearts, as we all gather as one body. NIGERIA, Africa – Background Vocals, Guitars, Piano, Organ & Bass. This song ‘REIGN IN THIS PLACE’ is very relate-able and reaches into every race, community and people. It is available officially on all digital platforms from JUNE 3rd, 2018.